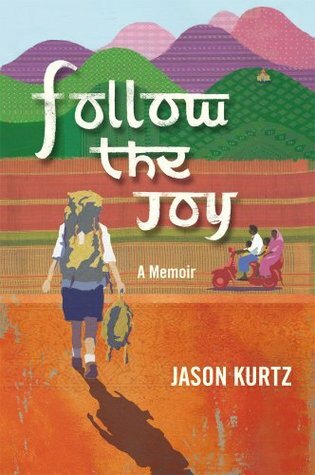 Unhappy with his job and life in the States, Jason makes the decision to buy a one-way ticket to India in hopes to find himself and find spirituality. He doesn’t have a travel plan, and comes as prepared as he can be. But, even with all the advice and preparation, nothing can help him with what he encounters. Harassed by beggars and over-priced cab rides, Jason makes his way to different parts of India. It is a beautiful place, but it is filled with things unimaginable by people who have never been there. During his trip, he decides to take a course in meditation. Going for days without talking ends up being difficult, but he comes out the other side hoping to become a new person. Meeting the locals helps him along. His visit to Nasik opens his eyes to what the Indian spiritual culture is really about. He learns more than he could just traveling around by himself. After Nasik, Jason makes his may to Calcutta where one could argue is where his journey REALLY begins. He learns more about himself here than he has anywhere else throughout India. Holding the hand of a dying man, cleaning people who cannot help themselves, and learning that just a simple touch or massage can make a lonely person happier than anything. His time in Calcutta was probably my favorite section of the book to read. The others kind of had similar themes with them trying to fight off the beggars and trying not to make the cab drivers too mad. The Calcutta trip was just so real and very emotional in a way. It is fitting that it is the last part of the book. It really ends on a high note. It was what his trip was all about. If you like travel or spiritual memoirs, this is one to pick up. It has a nice balance of both, and Jason gives you a good amount of details about everything that he is encountering. It is easy to imagine that you are there experiencing it with him. Jason’s writing style is easy to follow and fun to read. It is filled with both narrative and dialogue so it stays interesting the whole way through.